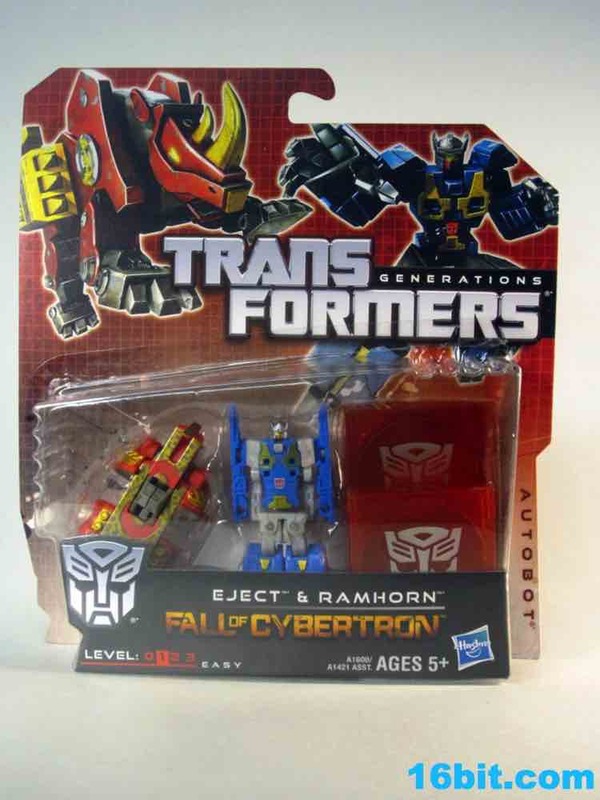 Arguably one of the best disc packs is Eject and Ramhorn started popping up in February, with one of the better overall pairings as transformation goes. 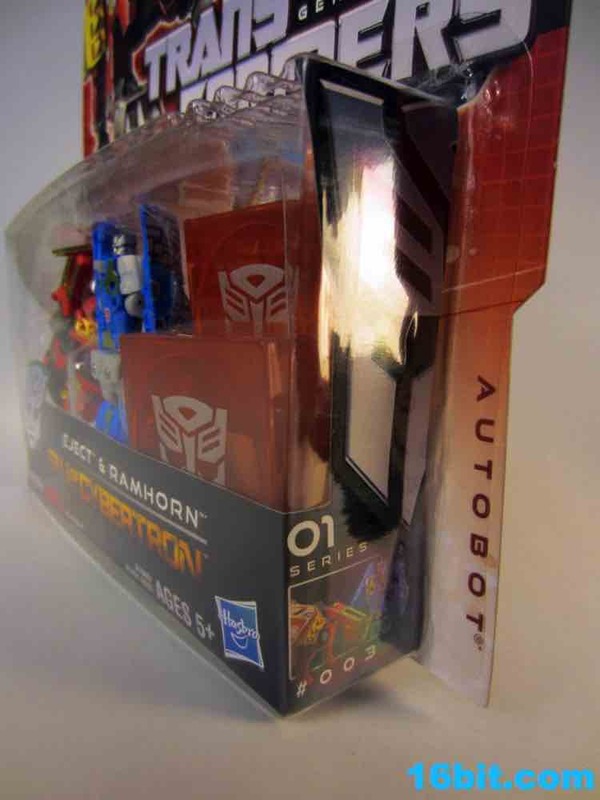 Neither of the toys really closely match the CG models on the packaging, and as such it seems like a bad idea to compare them too closely. 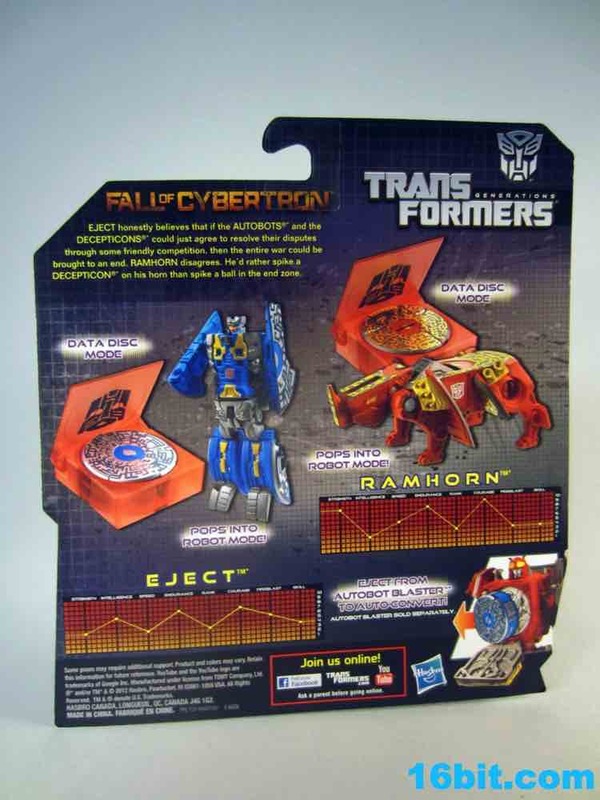 I still very much would like a Ramhorn modeled after the box art, although I suspect this is very unlikely to happen as Hasbro opted to not include snap-on gold accessories while aiming for the spring-loaded gimmick rather than the best-possible toys. 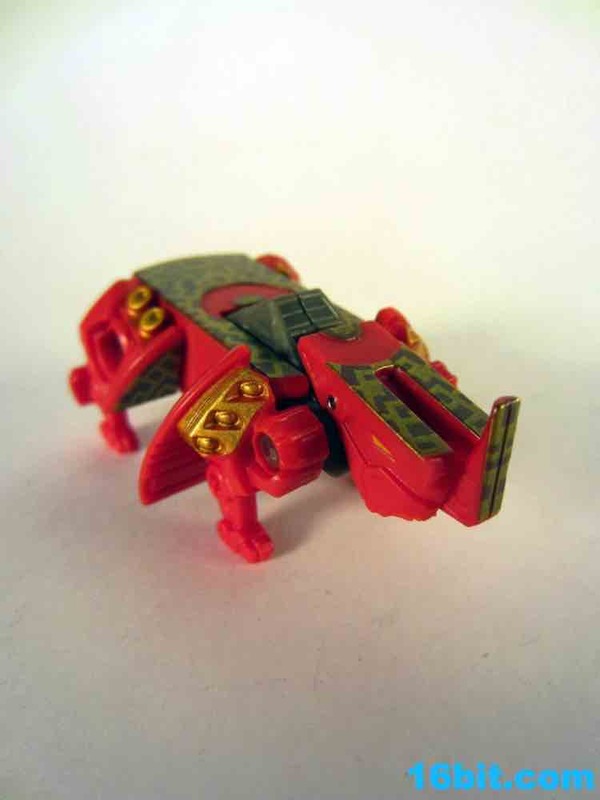 Unlike Ravage and Steeljaw, Ramhorn goes from a disc to a four-legged beast and it works. Drop the disc on the table, and a rhinoceros emerges with little fuss. There is, however, a trick to it - if you drop him from a low height, he'll flip on his back. If you drop him from closer to 6-8-inches off the table or floor, he'll turn into a rhino and and on his feet. 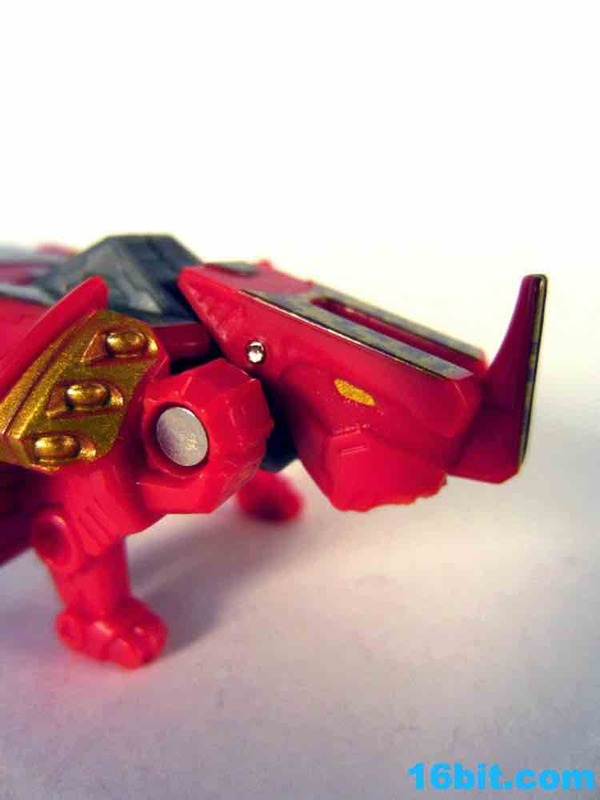 Here's a slow-motion video of Ramhorn, because slow-motion is fun. 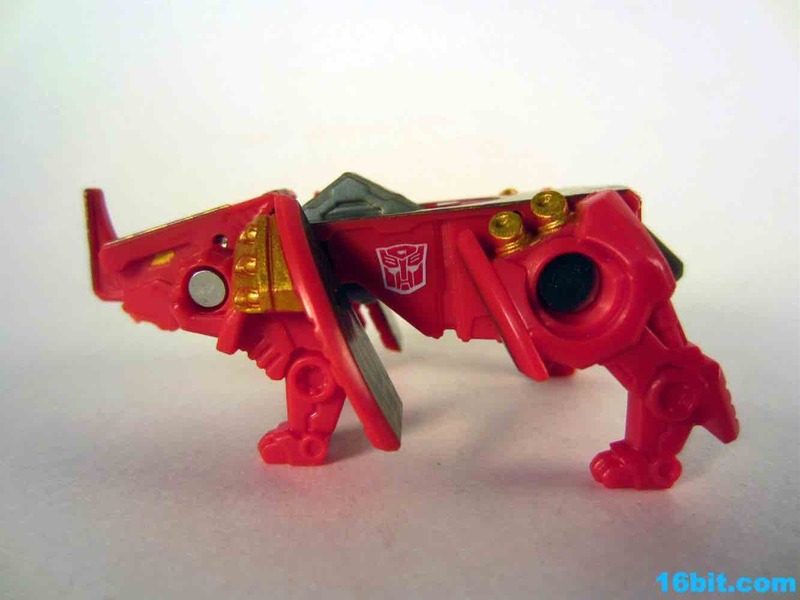 The rhino itself is basically a toy you can look at, lacking the articulation and detail of its 1986 namesake which turns into a tape and had not one, but two horns on its nose. 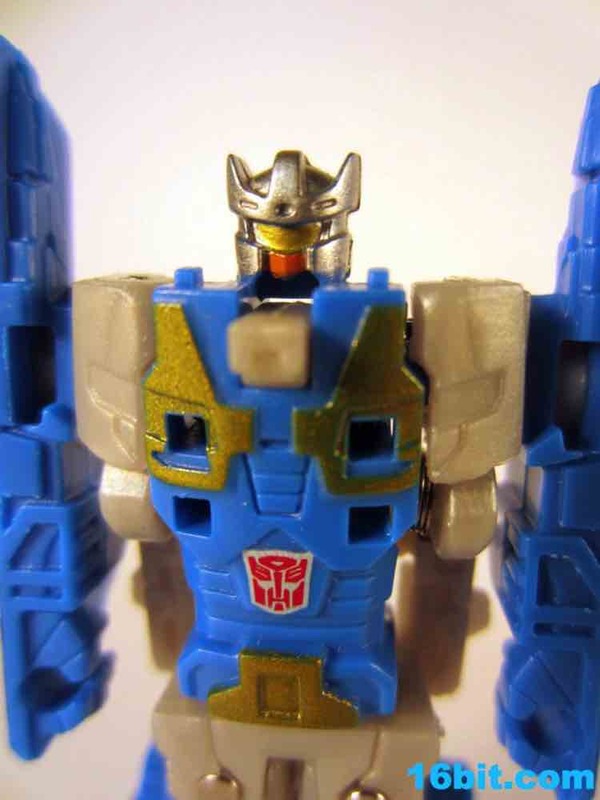 This one is rhino-ish, and while I suppose I should commend Hasbro on making the gimmick work the resulting rhino is nowhere near as pleasing as I might have hoped, as he has little face detail. 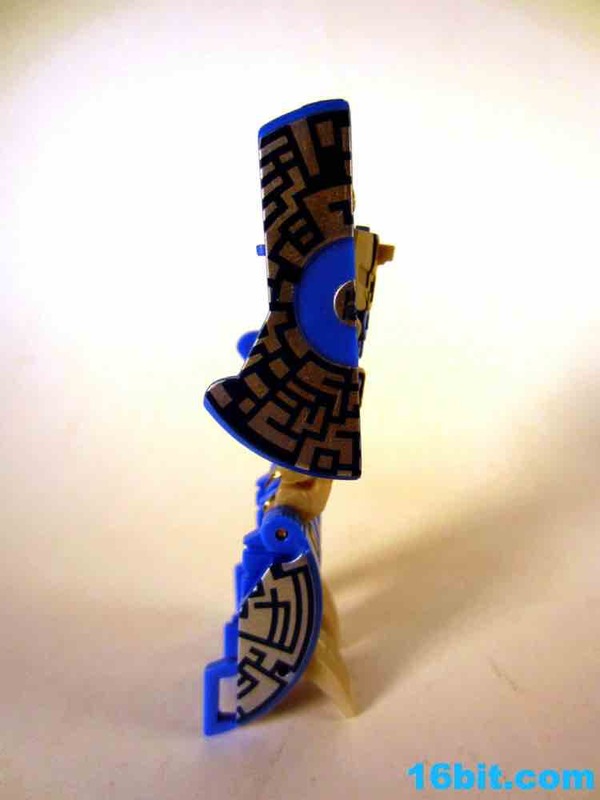 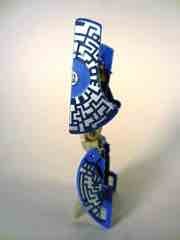 The gold weapons are absent, but sculpted details vaguely resemble them remain and are painted gold. 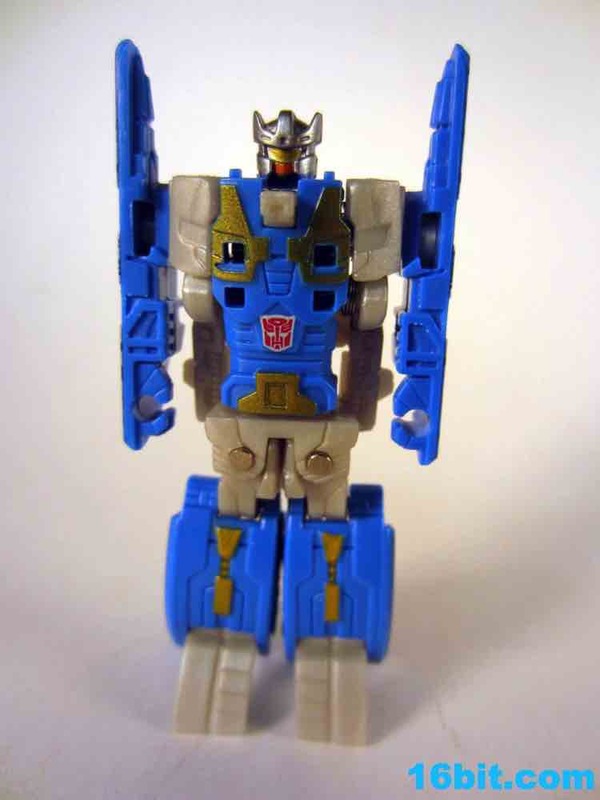 Hasbro really should have left the character art off the box, because once you have something to compare this one to, it's a lot less awesome. Functionally speaking, it's still the best. 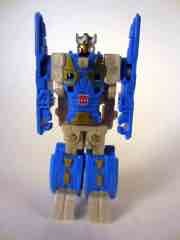 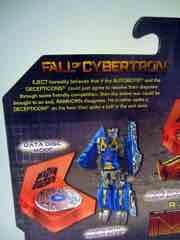 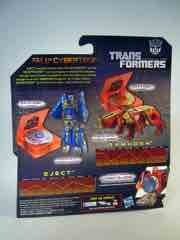 Eject is acceptable, basically being a retooled Rumble/Frenzy from earlier in the year. The grey pieces on Eject are shared with the Decepticon robot discs, but the blue pieces are all new, including a painted head. 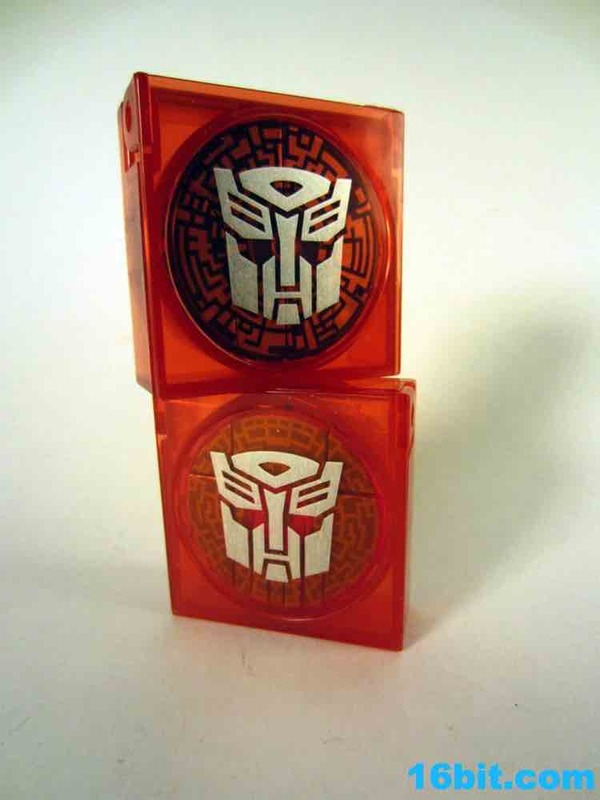 (Oh, and these are shared with Rewind.) The sculpting is a little better on this 3-inch action figure, but it still basically doesn't do much. 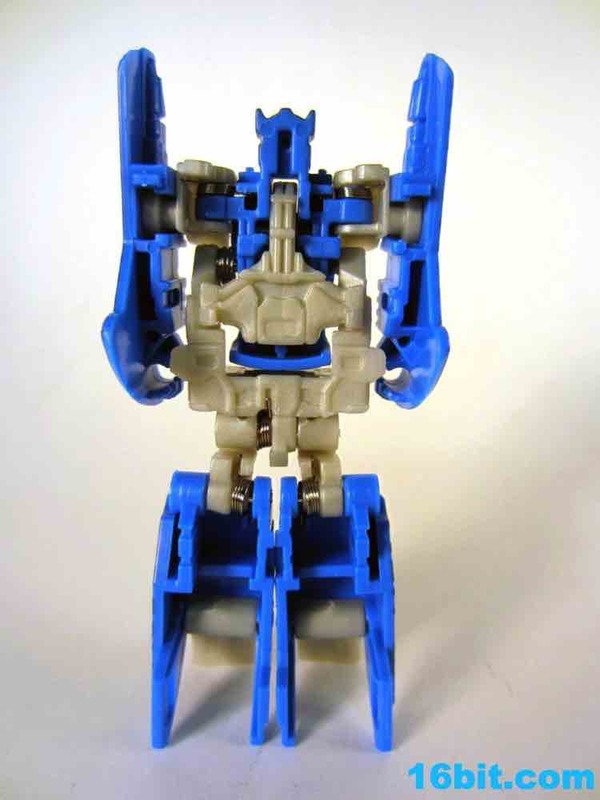 His hands are designed to grip 3mm-post accessories, his shoulders rotate... and that's it. 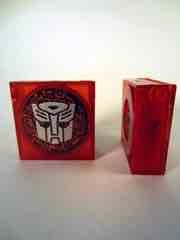 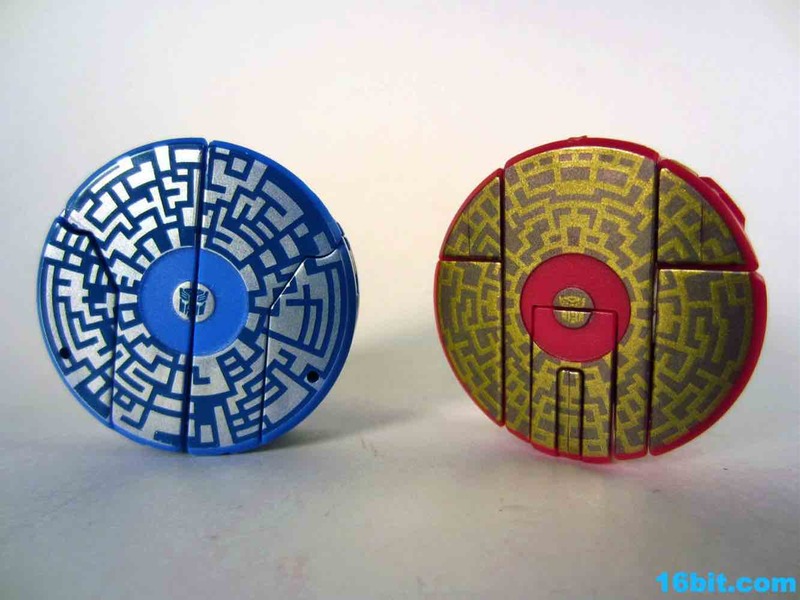 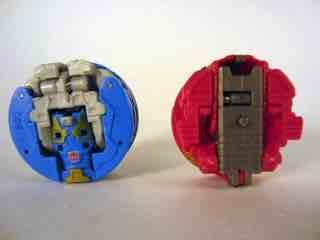 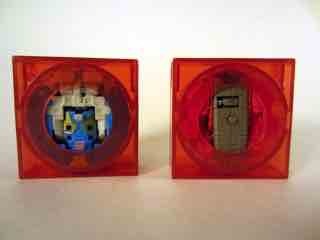 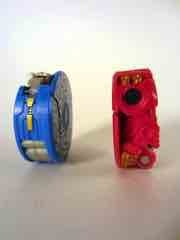 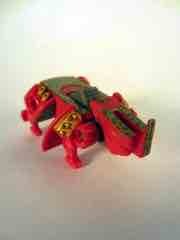 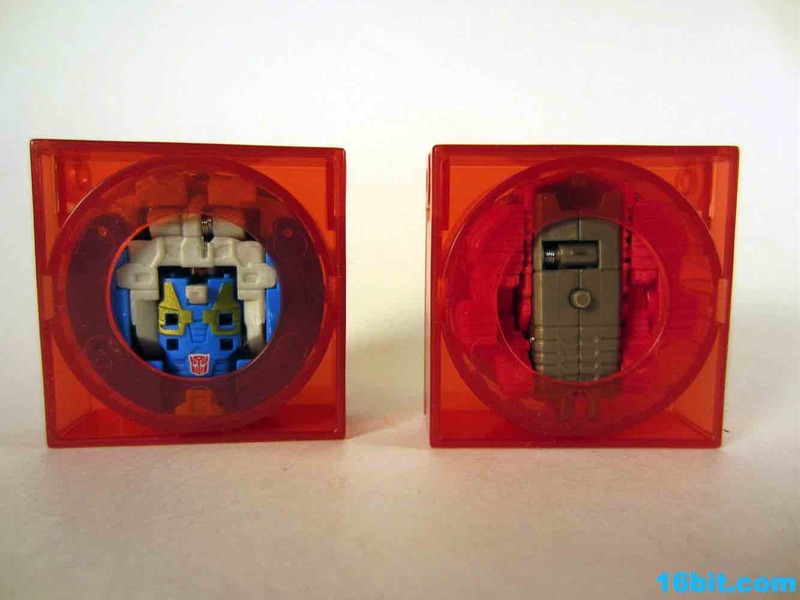 The transformation on Eject is identical to Frenzy/Rumble, and the disc mode fits snug in his red plastic Autobot case. 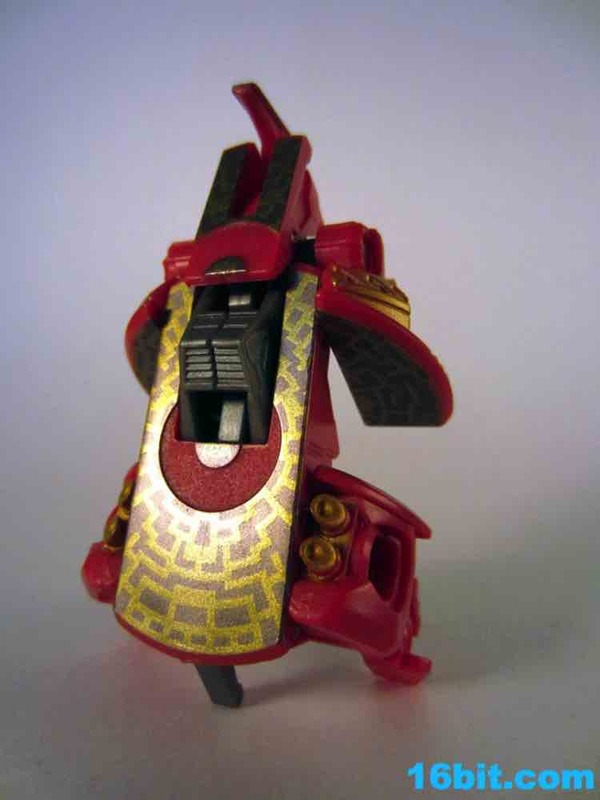 Ramhorn does as well. 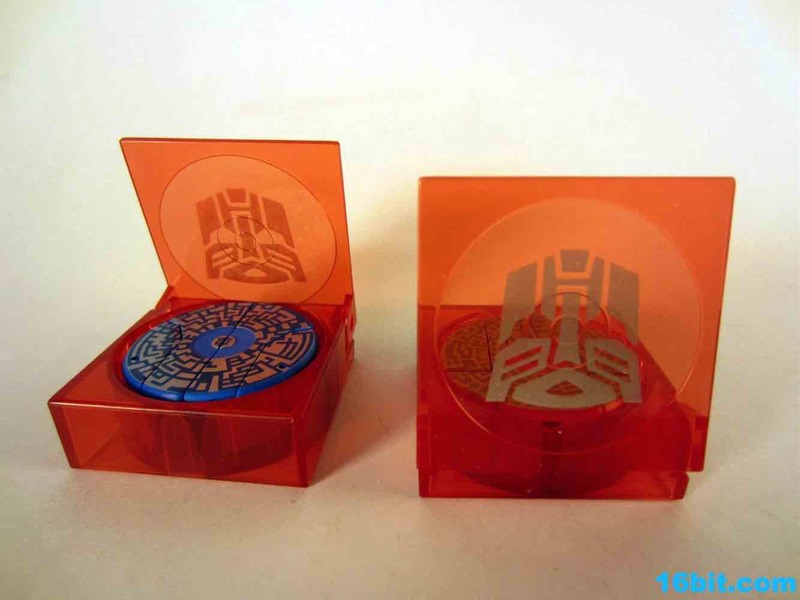 It's worth noting that this set has silver Autobot logos on the boxes, while the Rewind and Sunder pairing has gold logos. 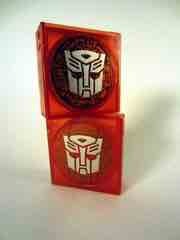 I assume this is a nod to the G1 Autobot tapes having either silver or gold accessories. I got this set for ten bucks at a Walmart, in a highly disorganized (but fairly sizable) just-reset toy area in March. 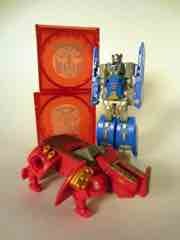 If you're limiting the number of disc-bots you buy, this is a worthwhile purchase (especially on sale). I also expect third party manufacturers are hard at work at non-auto-transforming versions of the discs with more detail and articulation that'll sell for 5-10 times as much money. 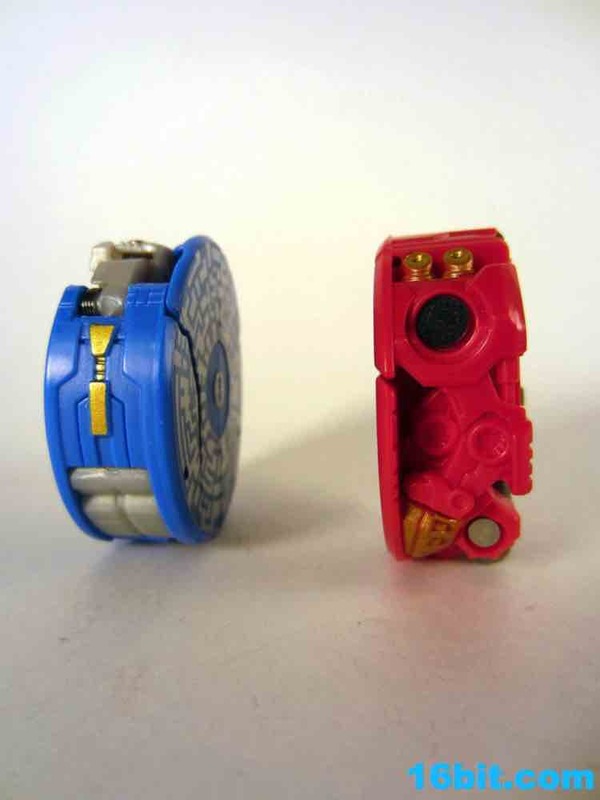 If you have the means, it's worth your while to pick up a set to see them in action, but if you see a friend's set you may not really need more of your own.